Most people visit another person’s or business’s property on a daily basis: going to the grocery store or gas station, visiting a friend, attending a sporting event or concert, going to a medical appointment, etc. When visiting these locations, it is reasonable to expect the premises to be safe. But sometimes, property owners fail to take steps to ensure the safety of guests on their property. They fail to fix broken handrails in a timely manner. They fail to install locked gates and security cameras. They fail to clean up spills in store aisles. When an accident happens and someone is injured due to property owner negligence, the property owner can be held accountable. At the Cleveland law office of Elk & Elk, we help victims of slip-and-fall and premises liability accidents seek compensation and justice. We hold property owners accountable for their negligence. If you or a loved one has been injured in Cleveland or anywhere in Ohio, we invite you to contact our law office to find out how we can help. In Ohio, the law distinguishes between property invitees (grocery store shoppers, for example), licensees (someone visiting a friend’s house) and trespassers (those who are on property without permission). If you have been injured, your legal options may vary depending on whether you were an invitee, a licensee or a trespasser. Talk to one of our attorneys to discuss what happened to you and to help determine if a negligent property owner’s actions caused your injuries. The property owner owed a duty to the visitor to take steps to avoid an accident. The property owner breached that duty. The injured person suffered the injury because the property owner breached his or her duty. In Ohio, slip-and-fall accident victims have two years from the date of the incident to file a claim. However, it is advisable to seek help from an attorney as soon as possible following an accident. Ohio also has a comparative negligence law. If the person injured was found to be more than 50 percent responsible for the accident, then that person cannot recover compensation. 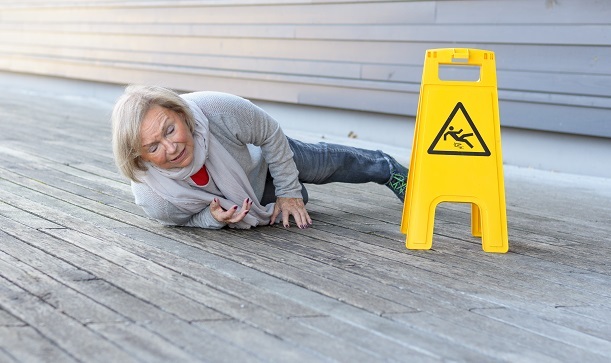 At Elk & Elk, we understand the intricacies of Ohio’s slip-and-fall accident laws. We can build a strong case on your behalf and work to prove the full extent of your injuries. Cleveland winters can be long and brutal. Snow and ice make for dangerous driving and walking conditions. Cleveland also experiences lake effect snow, due to its proximity to Lake Erie. This weather phenomenon can produce 2 to 3 inches of snow per hour. Most property owners in Cleveland understand the importance of prompt snow and ice removal in the winter. Failure to shovel snow and de-ice can make for dangerously slippery surfaces. And falling on these surfaces can cause serious injuries to the back, neck, head, limbs and other areas of the body. Can someone sue a property owner in Ohio for a slip-and-fall accident that occurred on ice? It depends on whether the visitor was an invitee, a licensee or a trespasser, as we discussed above. It also depends on whether the ice and snow accumulations were naturally accumulating and normal for an Ohio winter – or if the accumulations were unnatural and affected by human intervention. If you are wondering if you have a claim against a property owner for a slip-and-fall on ice or snow, talk to one of our attorneys. 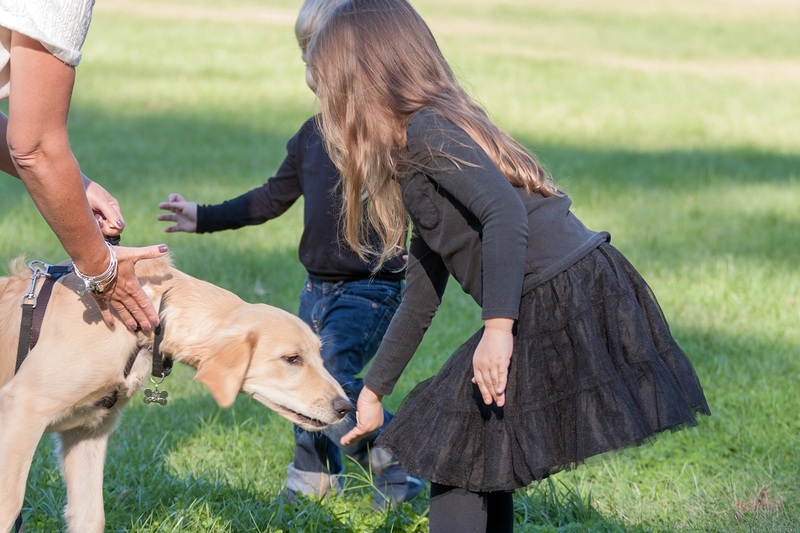 Just as property owners have a responsibility to keep their properties safe, dog owners have a responsibility to ensure that their dogs do not bite anyone. In Ohio, owners of dangerous or vicious dogs (dogs that have chased, bitten or seriously injured a person or another dog) must ensure that they are securely confined or kept on a leash. Owners of dangerous or vicious dogs must also maintain insurance of $100,000 or more. If you or a loved one has been bitten by a dog, it is important to be aware of your legal rights and options. If the owner of the dog is a friend or family member, it may be uncomfortable to consider getting help from an attorney. However, this is a matter of insurance more than anything else. You should not be responsible for paying medical bills and other accident-related expenses after being bit by someone’s dog. If you have been injured on another person’s property, on a business’s property or by a friend’s or neighbor’s dog, or if you have otherwise been injured in a dangerous property accident, talk to an attorney about your options. Call 1-800-ELK-OHIO or complete our online contact form to schedule a time to meet at our office.